5 Techniques to Calm a Crying Baby (5 S’s). Be better equipped. Be Better Informed. Be part of a GROWING Newborn Care Specialist Community! 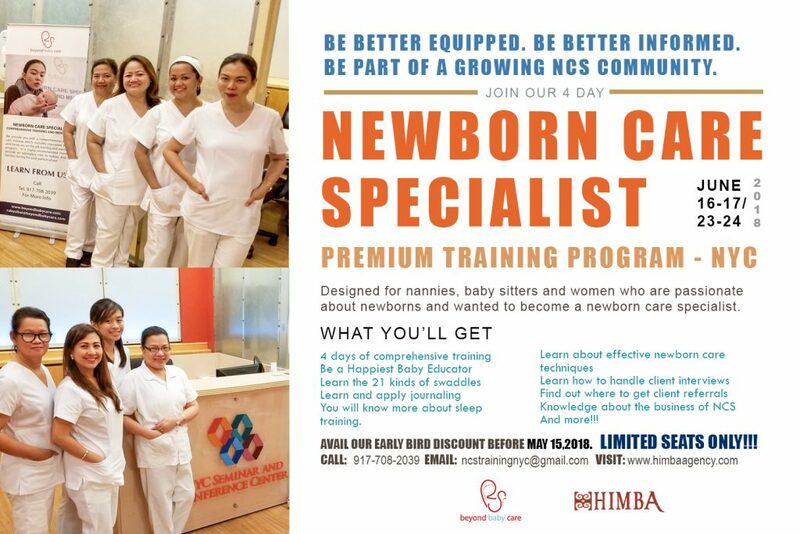 Join our 4 Day NEWBORN CARE SPECIALIST Premium Training Program this coming June 16-17 and 23-24 in NYC. Actual venue TBA. This training is designed for nannies, baby sitters and women who are passionate about newborns and wanted to become a newborn care specialist. Beyond Baby Care can recommend trustworthy and well trained professional NCS and Baby Nurses with a multitude of experience that turn one of the most anxious and important times in a family’s life into a wonderful experience.